Multi-Sport is a big thing in New Zealand! Holidaying in New Zealand is first of all about adventure and experiences. Landscape, people, creating memories and of course much much more. Whangarei District is a place filled to the brim with just what you need to create those memories. Whangarei Heads and the Whangarei District, in general, are exciting Multi-Sport destinations. We have a wide range of hiking trails, cycle trails and routes and kayaking opportunities just to mention a few. With a subtropical climate, Northland is New Zealand’s warmest region and is a year-round cycling destination. Run along our deserted beaches and hike spectacular mountains. Furthermore, you can choose to either go Kayaking on the Pacific ocean side or in the sheltered harbour. 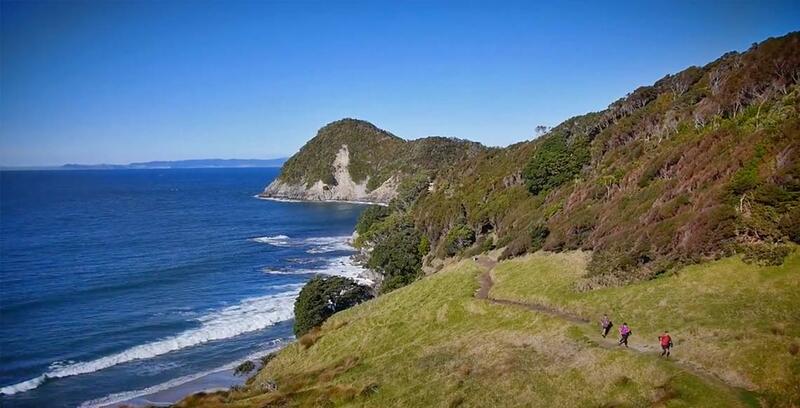 Whangarei Heads is the location for the challenging Multisport event – The Wild Kiwi. Check out www.thewildkiwi.co.nz for details. Glenbervie Mountain Biking is the best mountain biking north of Auckland and is located just a few kilometres east of Whangarei. There are 46 tracks to choose from. Parihaka in Whangarei offers a network of mountain bike trails as well as walking/running trails. In addition to mountain biking, road cycling is alive and well in Northland. Our beautiful scenery provides for a great experience. Bring your own Kayaks and explore our sheltered harbours or be challenged with a bit of open water Kayaking. Pacific Coast Kayaks are a certified local company who are always ready to help you create the ultimate adventure.